Effective Performance involves a shared responsibility between Employees, Management and TSU. Employee Responsibility: Employees are responsible for their own performance and career management. Manager Responsibility: Managers are responsible for supporting employee growth by providing feedback and coaching. TSU’s Responsibility: TSU is responsible for providing the tools and resources for performance development. Successful Evaluation Meetings – A Performance Review should be a Dialogue, not a Lecture. Discuss where things are right now and what needs to be done to improve – Don’t compare your employees. View them as individuals; Don’t make excuses for your employees, Focus on results. measurable and they have a deadline. Welcome the employee; put the employee at ease. Maintain good eye contact and attentive posture. Reflect back to the employee your understanding of what the employee said. Don’t interrupt, but ask questions only for clarification. Apply the 90/10 Rule: the employee talks 90% of the time and you talk 10% of the time. 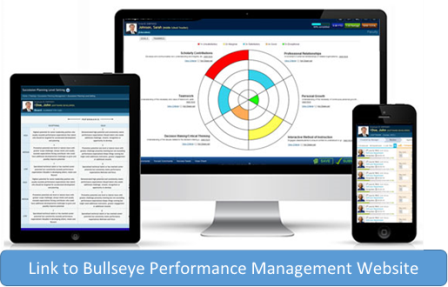 Compare the actual specific performance results and behaviors to the standards. Stay away from an attitude or personality focus. Keep the appraisal open to employee input. Emphasize strengths, as well as areas that need improvement. Be honest and be prepared to discuss questionable items. Support the employee’s effort to improve. Set goals, expectations, and standards together for the next appraisal. Goals should be SMART: Specific; Measurable; Attainable; Relevant; Timely. Discuss development/training plans with the employee. Summarize the session and end on a positive note. Listen to what the employee has to say and paraphrase back. Remain neutral. Maintain eye-contact. Ask for specifics with open-ended questions. Ask how the employee will resolve the problem. Stay calm and centered. Maintain eye-contact. Listen to what the employee has to say and paraphrase back. Let the employee “run down” for as long as s/he needs until the employee can listen to you. Bring discussion and focus back to performance and standards. Say the employee’s name, and ask open-ended questions. Stay silent, and wait for the employee to say something. Note that the employee is unresponsive. Remember that the appraisal meeting is a discussion and a dialog between you and your supervisor. Maintain good eye-contact, attentive posture, and a professional manner. Reflect back to your supervisor your understanding of what your supervisor said. Compare the actual specific performance results and behaviors to the standards. Stay away from blaming others and making excuses. Be honest and take responsibility. Provide your ideas on how to resolve problems. If you don’t agree with your supervisor, ask for specific examples. Discuss development and training needs. Do you understand what is expected of you? Are performance standards and work rules clear? What training or professional development do you need? Would you like to see your responsibilities change? How? Why? What career goals do you have? What do you need to attain those goals? How are relationships going with your co-workers? What could they do to help you perform your job better?